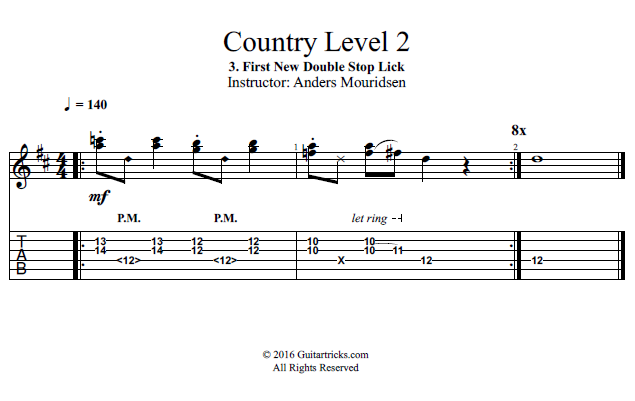 First let's check out a brand new double stop lick, and then we'll try improvising with it over the backing track. Let's play in the key of D for these examples, so our major lead pattern will be up here. However, for most of these double stop licks we'll be using the minor tension pattern that you learned earlier.